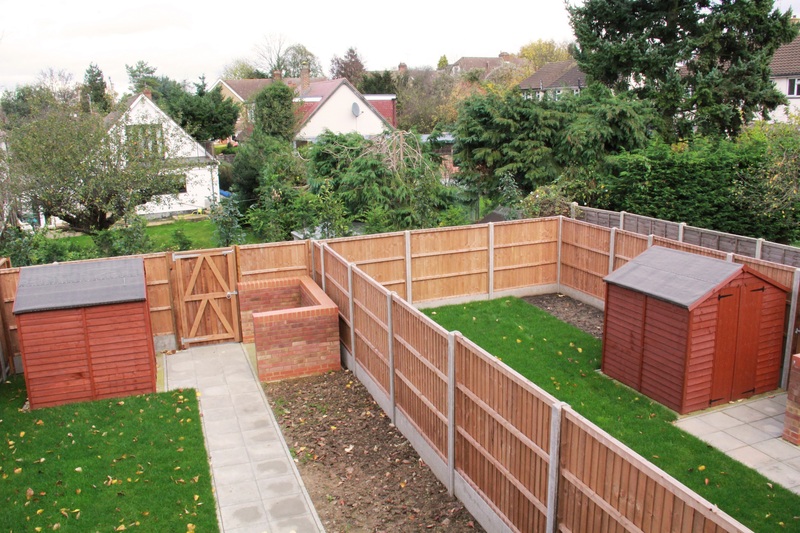 In 2012 we were approached by Harlow Council to quote for a series of feasibility studies looking at how their redundant or underutilised garage sites could be used to provide housing for The Town. 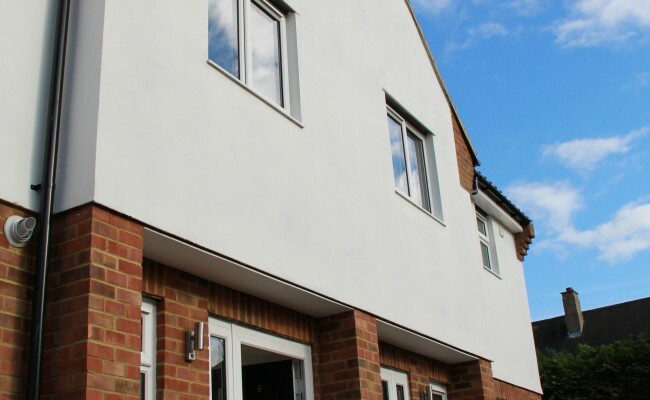 Harlow was built before the days of widespread car ownership and those involved in the development of The Town failed to grasp how car ownership would explode and that people would wish to park outside their own homes. 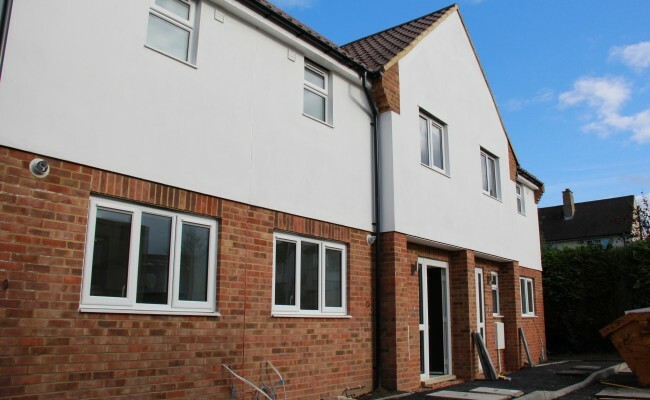 As a result each housing area was served by a number of central garage compounds where residents could rent an individual garage. 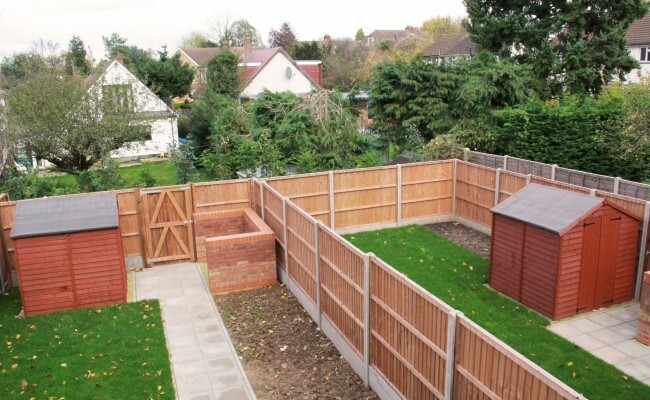 Over time these garages have proven to be too small and the compounds themselves, being remote from the houses they serve, have fallen out of favour with the vast majority of residents. 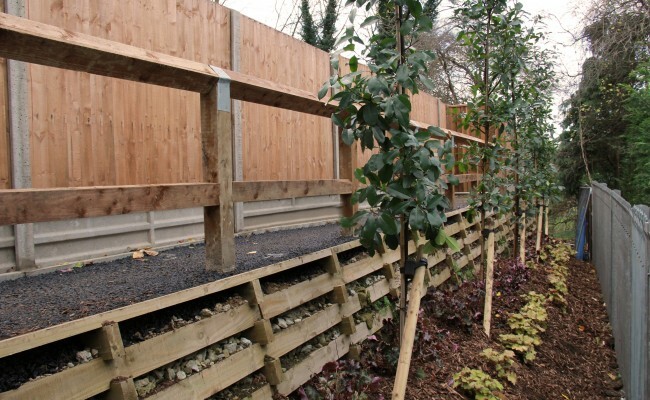 As a result they have attracted vandalism and have suffered from a lack of planned maintenance. 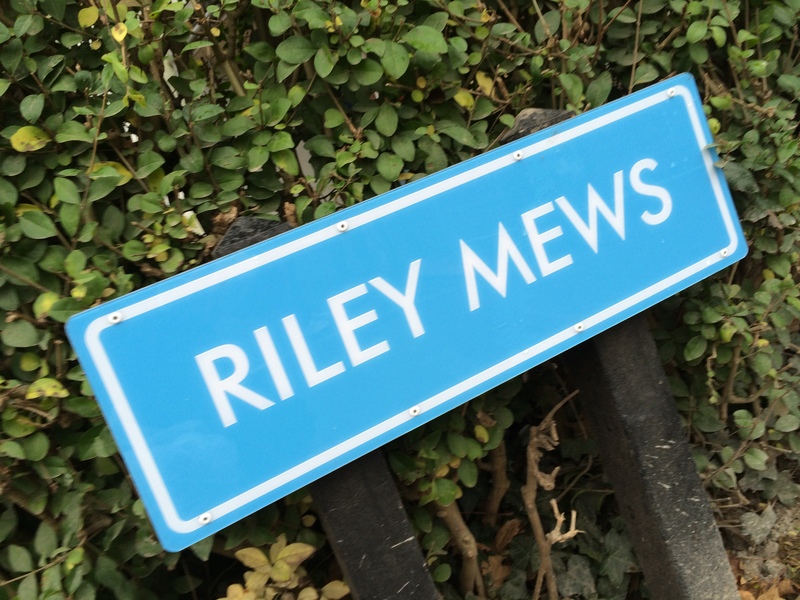 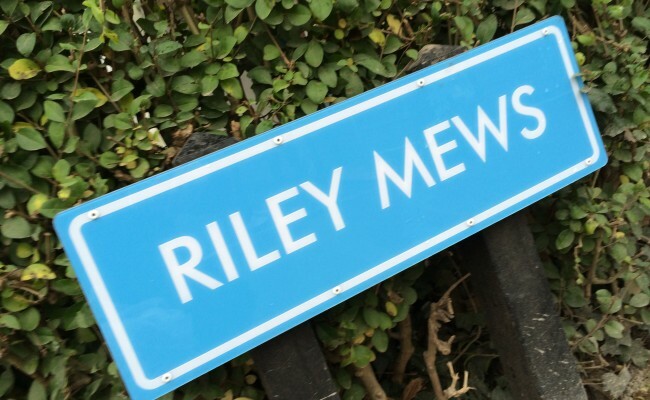 As with all communities, Harlow is under pressure to provide new homes and was, initially, looking at the opportunity to sell the Riley Mews Site with the benefit of Planning Permission, however, when funding became available in late 2013 The Council decided to take the step of developing their first Council Houses since the 1980's and we were retained as their Architects! 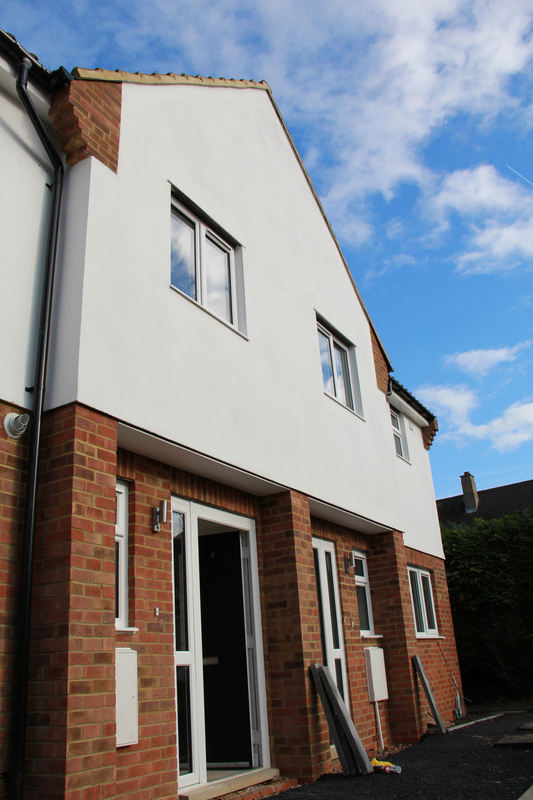 The scheme for seven two-bedroom houses is located near a Conservation Area and, therefore, the design seeks to reflect the key design features of the neighbourhood. 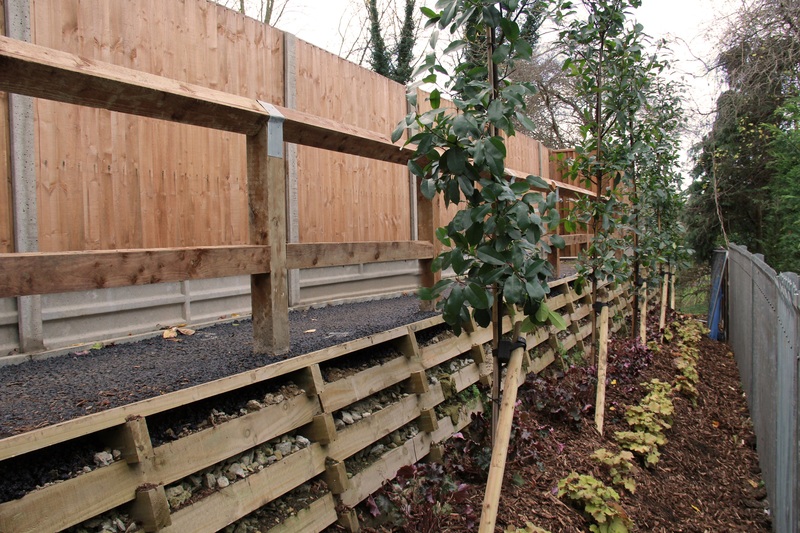 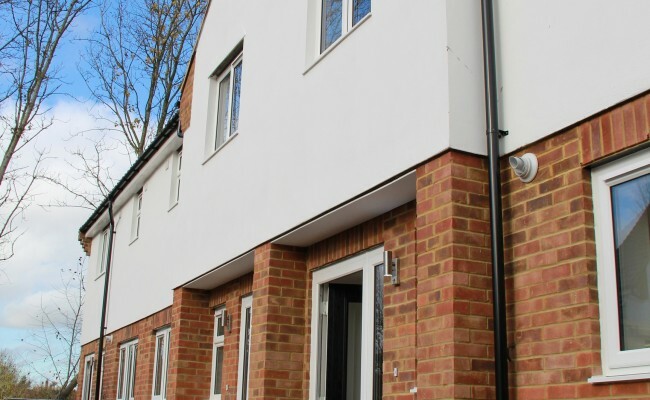 The project was granted Planning Permission in March 2014 and the Contractor, Borras Construction of St Albans, started on site in January 2015. 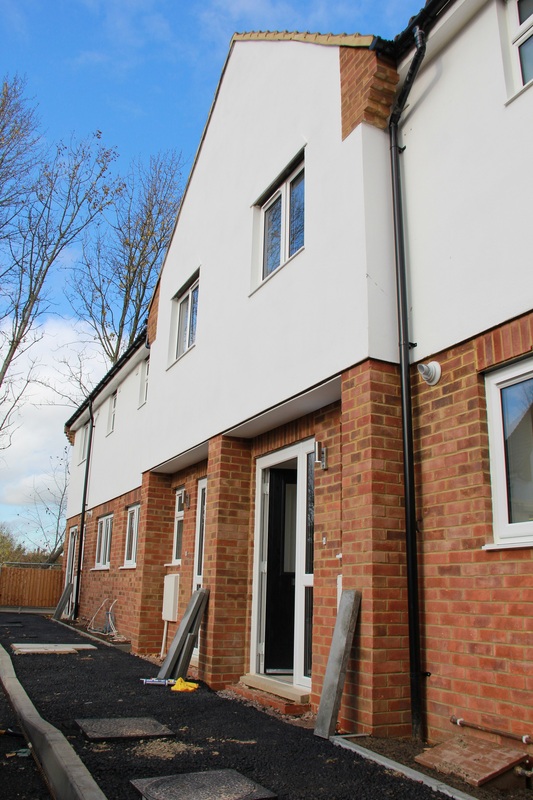 Each of the new properties achieves Code 3 of the Code for Sustainable Homes which, until it was recently withdrawn, sought to improve the standard of new housing. 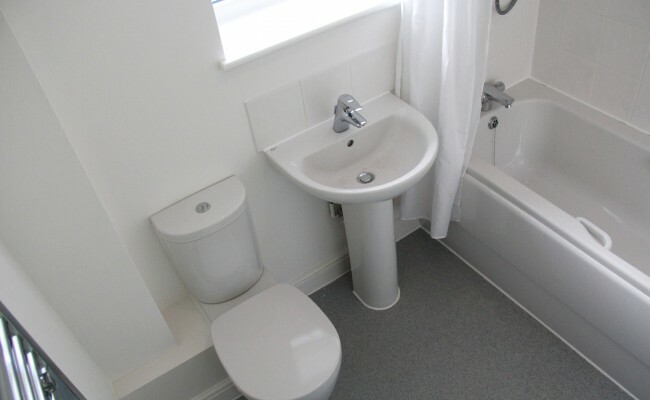 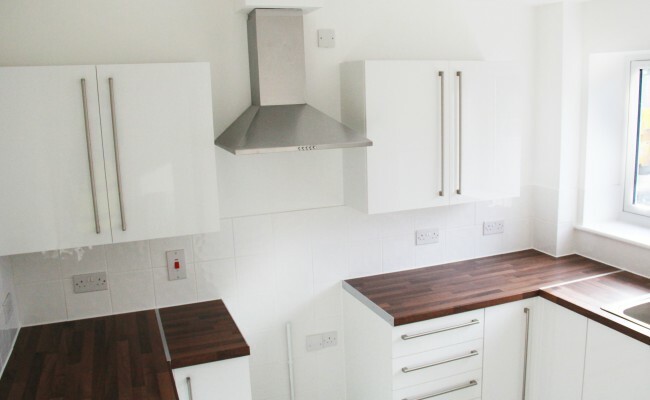 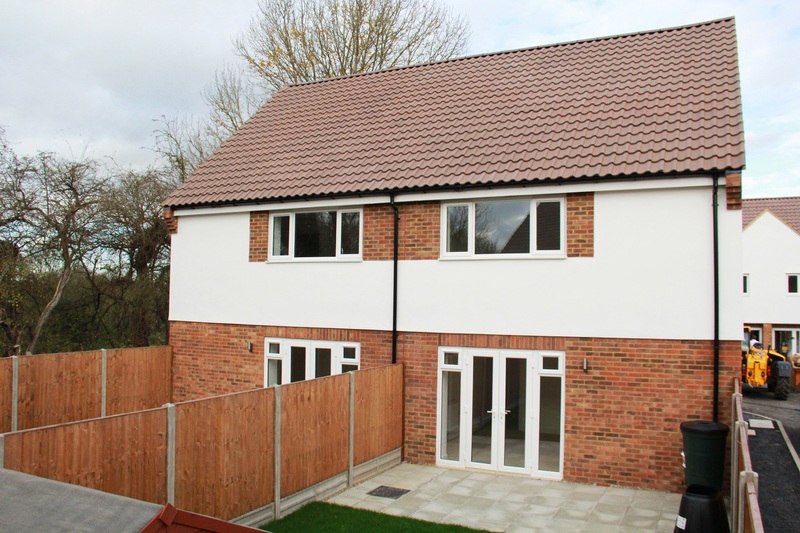 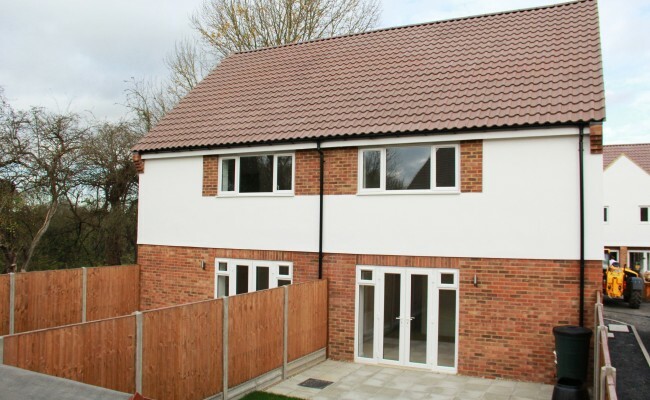 The houses also meet Harlow Council's space standards for new homes which are contained within the Harlow Design Guide and the Lifetime Homes Standards. 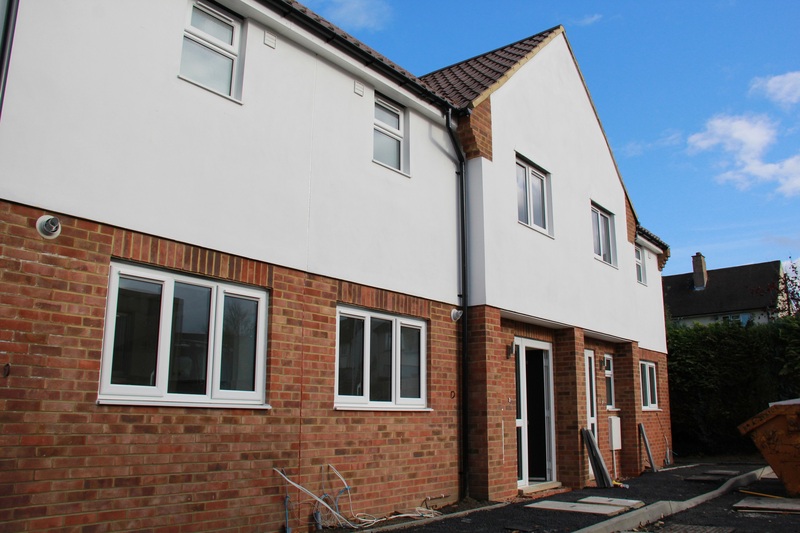 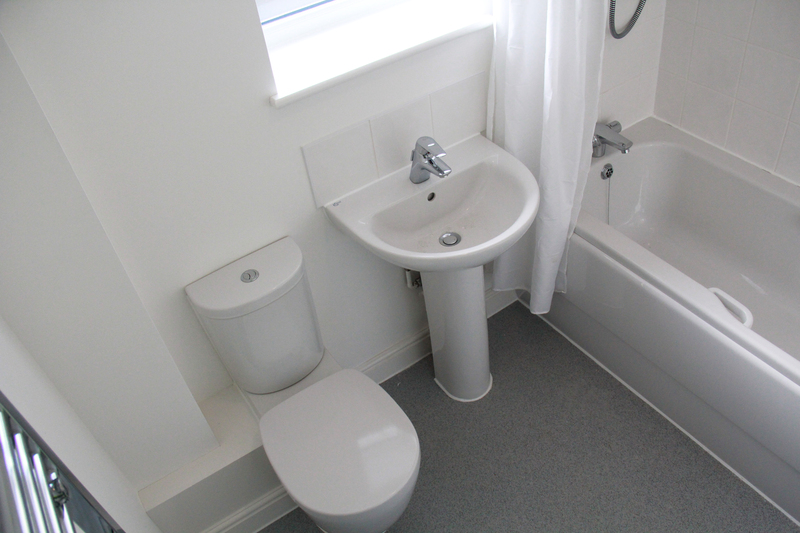 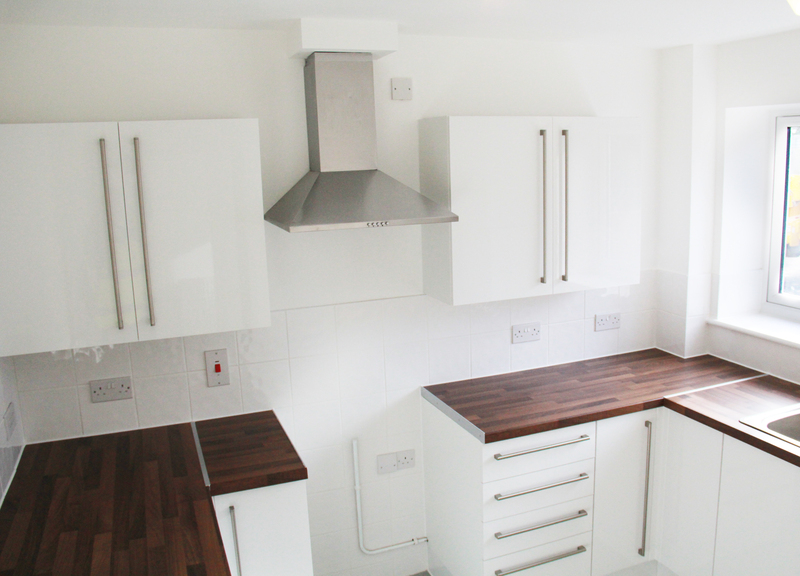 Practical Completion was granted in December 2015 with the first tenants moving into their new homes in time for Christmas.